» Comments Comments Off on What is New in the Party Limo Service in Denver CO? Your wedding day is one of the special days of your life. For the majority of the people, it can be stressful because they have to organize many things. They have to choose the best venue, catering and many more. These things can be stressful for you to organize alone. There are some things like wedding limousine services in Denver CO that can assist you incredibly. If you require additional transportation service for your guests then you can get the assistance of the rental limousine service. 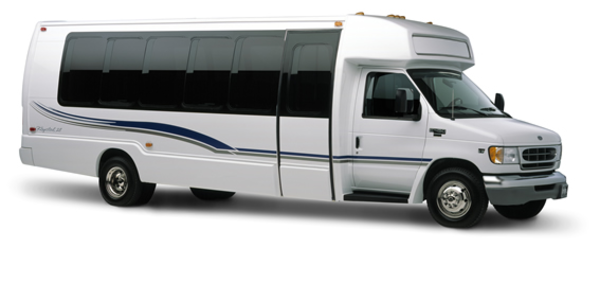 The A Active Limo offers shuttle service for multiple places like reception site, wedding venue, hotel and back. The wedding limo rental in Denver CO has shuttles of different sizes as per the number of the guests. Why do you need to Order Limousine Services for Your Wedding Day? There are several reasons to attain this facility. Some of the important reasons are given below. If you do not ride together in the limousine on your special day of life, how will you and your bridal party go to get from one place to another? If you have planned to drive separately, maybe someone can be late for the party. The benefit of hiring a wedding limo in Denver CO is to ride in the same vehicle and be on time at the venue. It is nice because you are safe from botheration. Your driver is well-aware when to receive and leave. Enjoy your wedding party with your family and friends when you are together in the limousine. Isn’t it great that you will never miss a moment and will have fun all the way? It is awesome for you and your bride that you will enjoy a royal ride. The VIP limo in Denver CO is classic and stylish. This is the elegant way to make a grand entrance to your wedding venue on the red carpet. All the guests will be excited when they find the limousine pulling up to the wedding venue. They will definitely love to see you walking down the aisle. The A Active Limo makes great backdrops for photos. Planning to drive separately to the wedding venue can be more expensive for you. Hiring wedding limousine services in Denver CO increases the allure of your wedding festivity. It secures your rental cost if you are going to many places like reception site, photo site, ceremony site and others. Now, you are free to pool your money and hire a limousine. In this way, you will save handsome amount because limousine rental service does not charge much from you. On your wedding day, there will be some alcohol consumption. Now everyone can enjoy the high-quality wine in the limousine and increases the festivity. Your guests are safe because the limousine transport in Denver CO transport you safely to the venue. Are you expecting a VIP to visit your Denver office soon? Have you made arrangements for their transportation from the airport to the hotel? 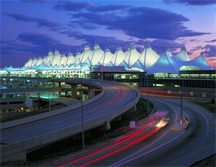 Treat them like royalty by having a limousine service Denver waiting for them at the airport. Whether the VIP is one of the partners of the company or an important client that you need to impress, the limo service will definitely make them feel important and special. You will also have to make arrangements for their lodging while visiting Denver. Notify hotel management that you have a VIP staying with them, and if your guests have special requests – pass these on to the hotel staff. By making your guests feel that you are taking care of them by ensuring their comfort during their stay in the city, you are strengthening your relationship with them; which is always good for business. If your guests are coming in to visit sites for company expansion, or projects, having them driven around in a limousine service Denver will surely give them the impression that you’d like them to travel in style and comfort. You can talk shop in the limo while enjoying the sights on the way to your destination, or you can get to know more about your partners/clients. Sipping champagne while being driven in a limo will definitely lighten the mood, and create the perfect ambience for discussing business or forming strong relationships. Go the full nine yards and have the same limousine service Denver drive your guests back to the airport come departure time. The limo will pick them up at their hotel at their designated time, and will take them to the airport in style, which is a perfect way to cap a business trip. Great American Beer Festival was started in 1982 and has been growing every year . GABF is being held every year in Denver , Colorado . It is 3 days event , which is orgnized by Brewer Association . It starts early October every year . Denver Limousine Service serve the guests every year by taking them from hotels to Colorado Convention Center and other destinations . People all over the world come to participate and enjoy this event . There are more than 2000 kinds of beer presented . There are beer contests and more than 100 judges who decide between these contestants and give medals and awards to the winners . City of Denver is getting ready for 2013 Beer Festival and making necessary arrangements ,which will be held from October 10-12 October . Almost 49000 people are expected to visit and participate in this event this year .Limousine Service Denver is receiving reservations for visitors and guests to transport them from Denver International Airport to Hotels in Denver Downtown and also taking them to dinner and other activities .